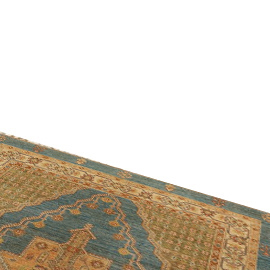 Select your choice from a wide variety of carpets available. 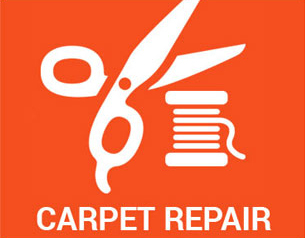 Do your carpets need to be cleaned? Don't worry! Our cleaning experts are capable of doing all types of cleanings. Please contact us for more information. 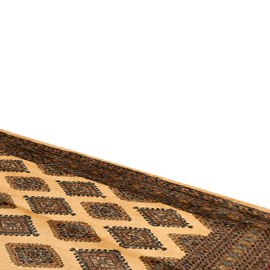 We will come to your doorstep with our wide range of rug collection to choose from. Make your floor comfortable and add a pleasant look to it. Click to make an appointment today. 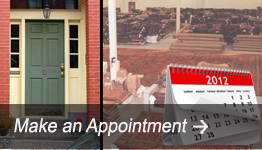 For your convenience, Ephesus Carpets will come to your home or workplace to pick up your Turkish & Persian and other oriental rugs and kilims for cleaning or repair.This is a nation wide rug service for all of our customers. Do you have a Promotion code ? With a Promotion code you have to pay cleaning charges only and there is no extra cost for other services. 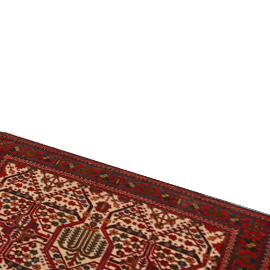 We are offering the best carpet repair service for any kind of Turkish, Persian and other oriental rugs. 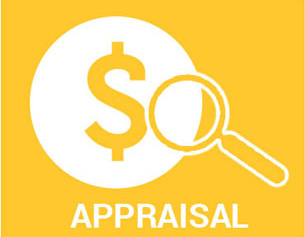 Our Rug Appraisals focus on the values of Turkish, Persian, kilims and other oriental rugs including modern, contemporary and traditional. 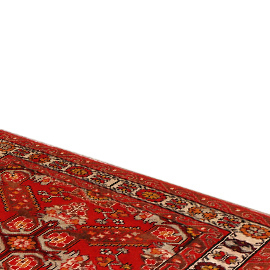 Why do we need to clean our rugs? The oriental rugs, referred also in the bible, must have a very old story, but we cannot date back the weaving out to a real time span, it is tough that rug weaving originates even to the 1.century B.C. till the Russian archaeologist Rudenko excavated five tombs near the city Bijks on south Siberia by Altai mountains, in this tombs Rudenko made the greatest foundation of rug history between 1947-1949 with five carpets, including the oldest one named after “Pazyryk” which is dated back to the 5.century B.C. The completed weaving technics, color harmony and desing of the “Pazyryk” (pazirik) allows us to trust to a very long development time and experience of the weaving back ground. 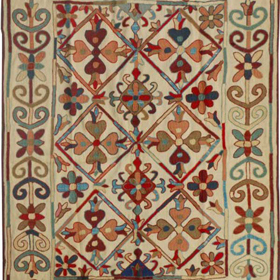 The origin of this rug is the Mongolian -Altai circle, where the tomb belongs to an Altai nomadic tribe. The historical route of the nomads from northeast always to west moved the weaving art from this origin and brought the art to Europe by the Turks. 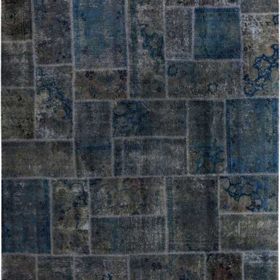 According to their design, colors ant materials of their origins, carpet centers can be categorized. 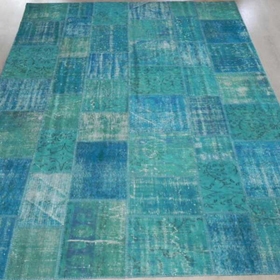 However in some big manufactures from different carpet centers nobody is realy loyal to the originality of the origin. 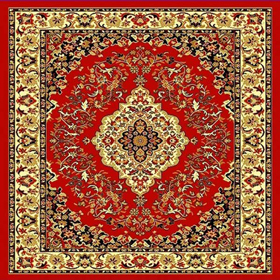 So, a “Hereke” rug is not only made in Hereke as well as a Tabriz not only in Iran. 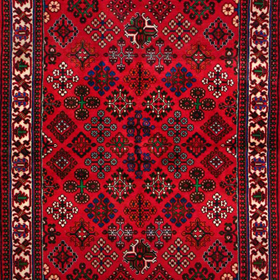 On the Turkish rugs mostly commen desings are floral, like trees, flowers ect, combined with some geometrical figures, because it has not been accepted in the Quran. Like the desings, the colors are even exiting and the question is to be cleared, how these washable and light proof dyes are made. Recipes were handed down from generation to generation as secrets of the families and we can understand well, how some mixtures are lost in time after the masters are dead. One of the most important coloring agents was from the madder, a common plant that grows wild in Persia. From the root of the madder, a common plant that grows wild in Persia. From the root of the madder came dye for variations shades of red and pink. When combined with a mix turied of milk and fermented grape juice, the madder root yielded a violet dye. The bright red cochineal insect also provided red dye, as did the kermes insect that lives in the bark of oak trees. Wild saffron provided a reddish-yellow, white cultivadet saffron offered a pure yellow. A lighter yellow came from the root of turmeric. A fungus of the mulberry bush provided a green-yellow. The soaking and fermentation of indigo plants from China and India provided blue. The infrequently used black dye came from iron oxide, and it was the only dye of mineral origin. However, the acid substance obtained from soaking iron shaving with vinegar can have a corrosive effect on wool. Brown dyes could be made by mixing madder with yellow or from the shells of green walnuts, gallnuts and valonia. The brown dyes sometimes had a tendency to dull with age. 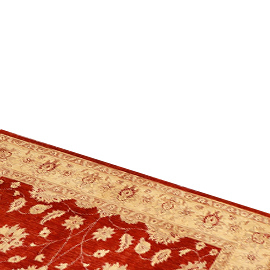 The most success full and widely used colors in oriental rugs are reds, yellows and blues. 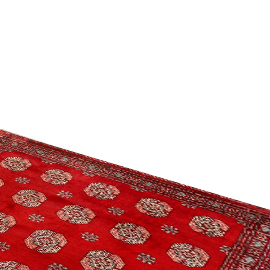 Red is probably the must popular of all colors and is a favorite of Turkish and Turkistan dyes. 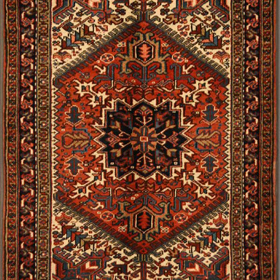 Yellow and dark green are used extensively in Persian carpets, and blue is frequently seen in Caucasian carpets, particularly those from Armenia. Yarn was not dyed in the skin; instead each long strant was plunged into the dye. The yern then was dried in the open air and eventually was exposed to sun and dust. This system imparted to the shades of different strands and endless number of gradations. And these gradations made a woven carpet vibrantly come to life. Around 1870, controversial synthetic dyes came to the coastal regions of the East and eventually worked their way to the nomadic people. Particularly for shades of red, the synthetic anilin dyes proved more economical use than naturals dyes. And aniline dyes allowed carpet makers to speed up productions and meet increasing product demand. | aesthetically, however, the chemical dyes had limited success. Naturel dyes mellow with age, while synthetic dyes completely change color over time. It has been said that naturally dyed carpets become more beautifully with time, but synthetic dyed carpets deteriorate with time. Since 1920, naturel dyes have virtually. Disappeared from the making of oriental rugs. The use of synthetic dyes have been greatly perfected and offer every guarantee of quality. 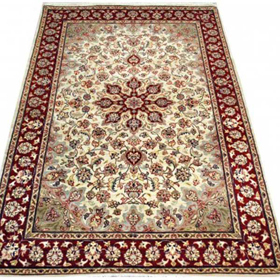 Others say aniline dyes, over time, dry the carpet fibers making them brittle and fragile and seriously diminish the value of modem oriental rugs. 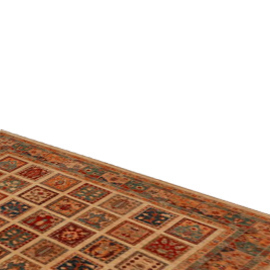 Mostly important point in oriental rugs is naturally the materials used. 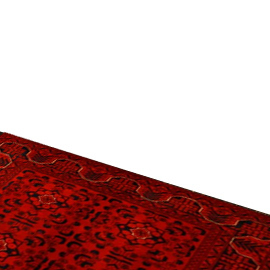 In Turkey, todays leading carpet land, three materials are used for weaving: silk, cotton and wool. The silk has, as material, nearly unlimited strength. Also cotton is very strong in comparison with wool. There are real big differences in the wool materials, for example the wool from the lambs of high mountains is fine and has more density, the neck part of the lamb gives longer and softer fibers ect. 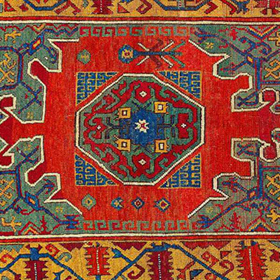 Rug-weaving is generally done on very simple looms, and even modern examples are little changed from their ancient prototypes. The simplest kind of loom is a rectangular frame consisting of four pieces of wood, laid flat on the ground or propped up on rocks or logs. The first step in weaving is to put the warp or lengthwise yarns that serve as the primary element of the foundation of the rug on the loom for weaving is to separate the warps on one side of the loom into two steps. The purpose of all is to create spaces through which the lateral “sinews” of the rug, the weft yearns, can be passed. However, we are destined for greater or at least for more complex things; knotted-pile rugs. Sometime in the dim and distant past well over three millennia ago, probably in a nomadic encampment in inner Asia, an unnamed tribal weaver invented this new technique. After having woven an inch or two of plain weave on her loom, inspiration struck: She took the two warp threads at one edge of the loom in her hand, and around them she logged a bit of colored yarn, cutting off the excess with a knife. This resulted in a small tuft or colored wool (we use the term knot) sticking up from the surface of her piece of cloth. Taking the next two warp threads, she repeated the process. Giften with great patience, she repeated this process all the way across the loom, creating a thin horizontal row of colored “fuzz” or “pile” on the surface of her fabric. She then rotated the shed stick and passed a weft trough the loom. After that, she pullet on the handle and passed another weft through the loom. Taking a heavy device known as a beating comb, or comb hummer, probably whittled by her cousin. Out of a heavy piece of wood, she pounded the row of knots and two wefts down on the loom, and then began the entire process of tying knots again. To be sure, there are many variations possible on this basic theme. All tough our original weaver probably used a symmetrical knot, later weavers in other tribes developed asymmetrical knots opened either to the left or to the right. We can join the terms Gordian knot (for symmetrical) and She knot (for asymmetrical) respectively. 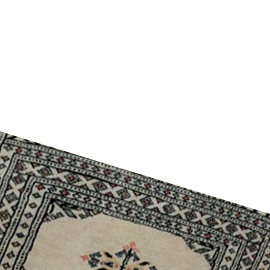 Copyright © 2015, Ephesus Carpets. Please subscribe to our newsletter to be aware of our innovations and surprises !